Purchase the eBook "Dogman The Monsters Are Real"
In a recent article, the UK MIRROR, published a story and footage detailing my Dogman encounter from 2011. (Click Here to read the article) The article is not entirely accurate concerning my reaction and the exact events surrounding the capture of the video. 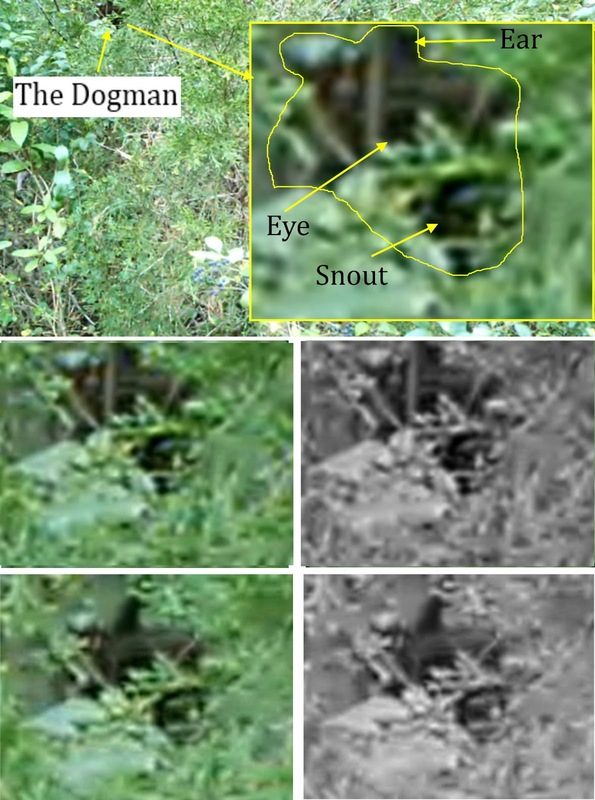 Below is the complete encounter with detailed video analysis. Location: Public Land Recreation Area on a large TVA lake in East Tennessee. I am standing on the shore of the lake using my mono-pod mounted video camera to search the small island approximately sixty feet off the main land. 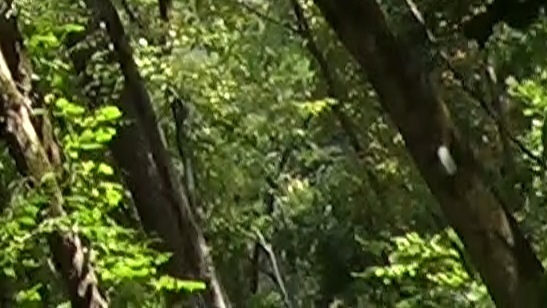 The foliage on both sides of the trail is extremely heavy. I actually have over hanging limbs touching the top of my head. I am in deep concentration slowly filming the adjacent shoreline looking for a possible Bigfoot. Unknown to me, the Dogman that was observing me at the feeding station, has followed me to the water’s edge. The creature has risen up only four feet behind me in the midst of a small Cedar tree. The Dogman is on the right side of the trail and my back trail camera is mounted on my left shoulder. I do not capture any footage of the creature while I am facing forward. When I decide I am done filming the island I start to turn to my left. I turn about forty-five degrees then stop for approximately six seconds. During these six seconds the Dogman is being captured on my back trail camera. The Dogman “nervously” rocks back and forth attempting to anticipate my movement. 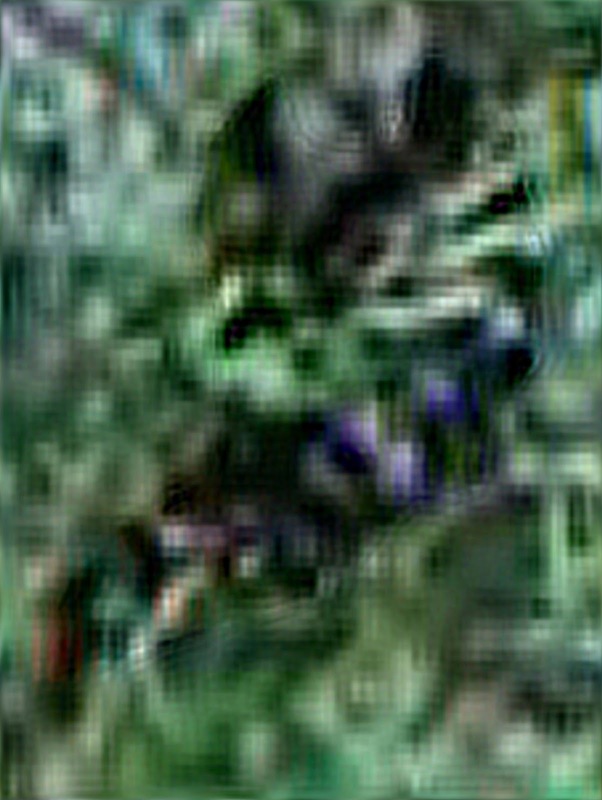 After the six second pause I turn my shoulders further to my left and the Dogman ducks down into the heavy foliage but does not retreat. I pause again for approximately nine seconds then complete my turn. 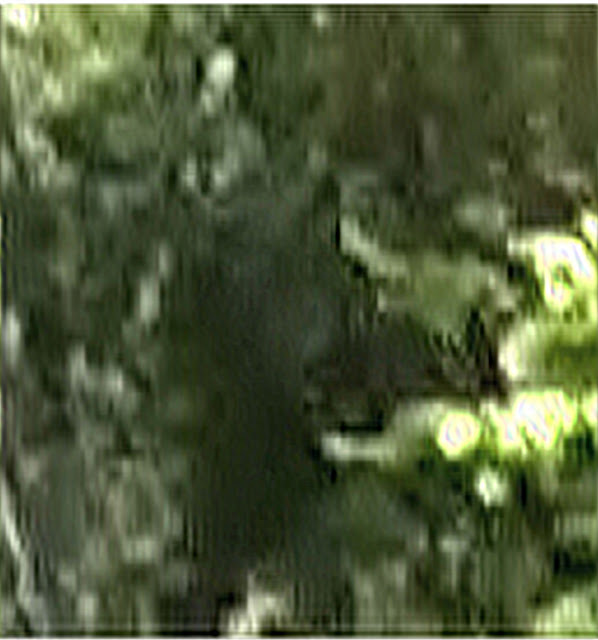 During the second nine second pause the Dogman’s dark form is visible through the heavy foliage. Once I complete my turn I get the strange feeling I am being watched. I pause momentarily and look in the exact area where the Dogman has just ducked down. I take my mono-pod mounted camera and film this area for approximately ten seconds. I do not see anything and after the short pause I began walking away from the area. When I review the mono-pod camera footage, a faint dark shape is still visible in the dense foliage. I think I was fortunate not to see the Dogman that day! The rest of the outing went without incident. 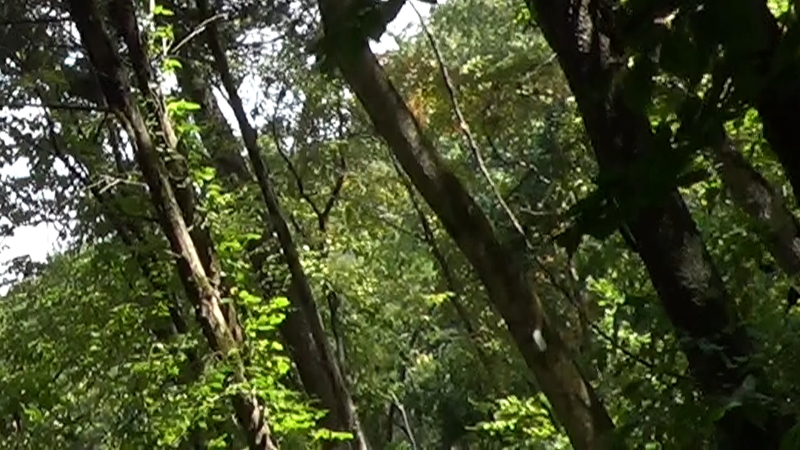 The following day I was reviewing the back trail camera footage in the comfort of my home. 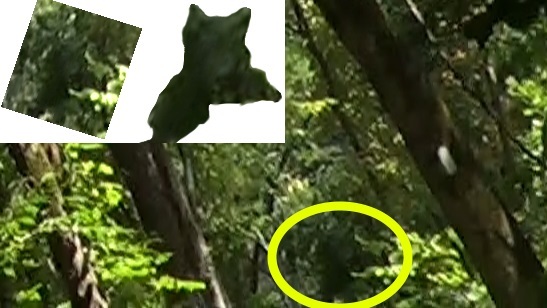 I remember seeing the strangely shaped creature rock back and forth as I turned my shoulders and saying to myself “what the heck was that!” I replayed the video over again this time stepping through the footage slowly. I could not believe my eyes. What was this strange thing and how did it get this close to me without making any noise? 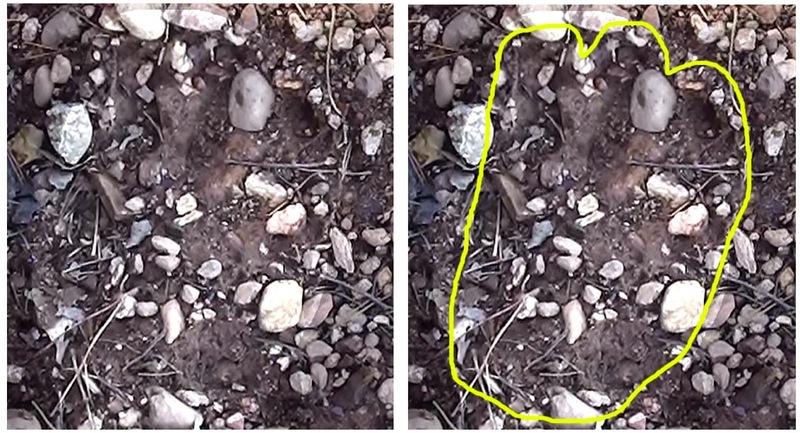 Is this a weird looking Bigfoot? 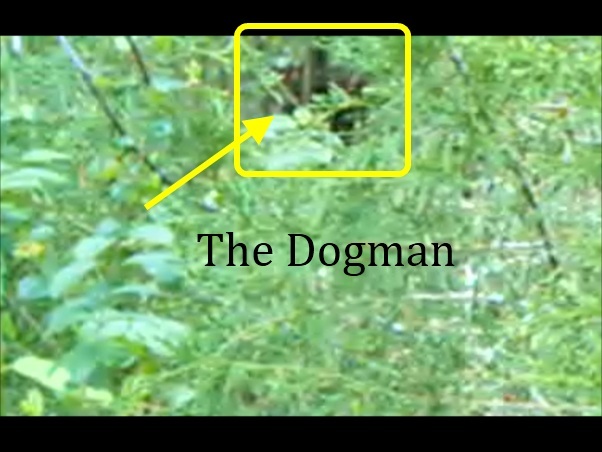 I did not know that the Dogman even existed at this time. I called to my wife to come look at the footage. When she entered the room she immediately asked me what was wrong. She said I looked extremely upset. 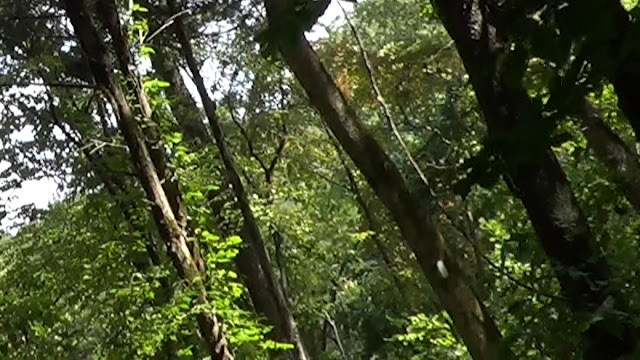 I was almost speechless and told her “just watch, just watch this and tell me what you see.” I watched as the color left her face and she gasped openly, “What in God’s name is that thing?” she asked, “Where is this, where did this come from?” I told her I took the video at the public research location the day before. She then remarked, “Never go there alone and always take your gun that is a monster! No maybe a Werewolf or something evil!” I definitely agreed with her concerning taking on a research partner and carrying a firearm. 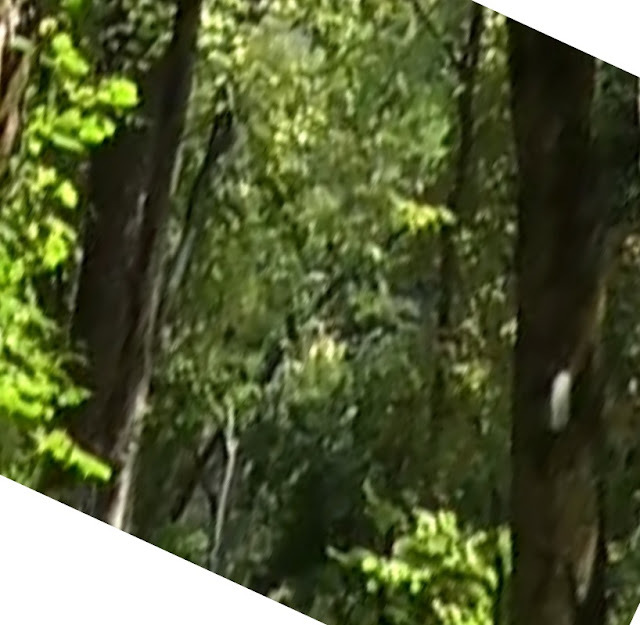 It took me several weeks to process what I had captured on video. I was genuinely afraid to go back into the woods. 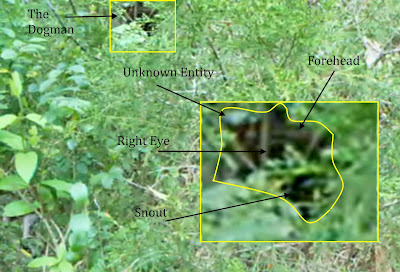 The more I researched this creature the more I realized how fortunate I was to have come home from the woods that day. I spent the next month investigating the Dogman. 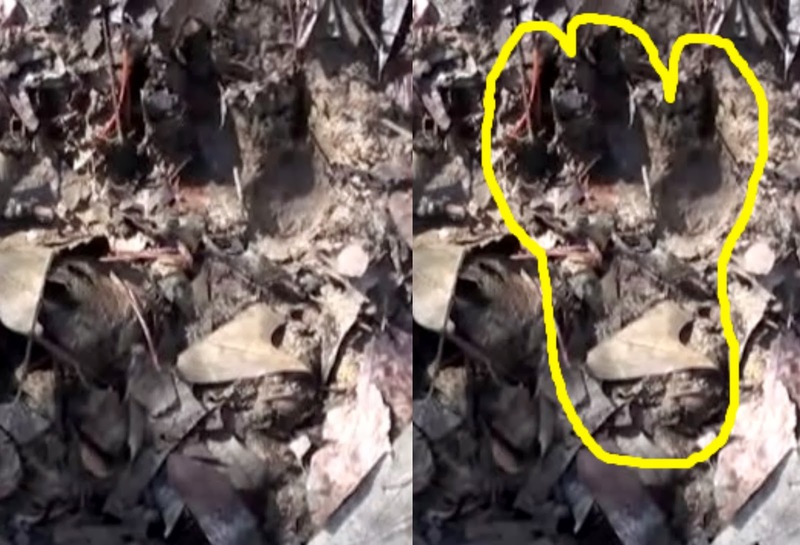 I reached out to Linda Godfrey who is the modern expert on the Dogman creature. She was very helpful and was intrigued by the video. She assured me she had no knowledge of anyone being harmed by a Dogman. I wish I could say this was reassuring but having the footage and being the one that was so close to the creature that statement gave me little comfort. I have hundred of hours of video footage. I have embarked on a project to review it in the next year. While reviewing Back-Trail camera footage from 2011 I found this possible Dogman watching me. I took the "Dogman" photo's and enlarged them, adjusted brightness/contrast, and sharpened. Below are the results. 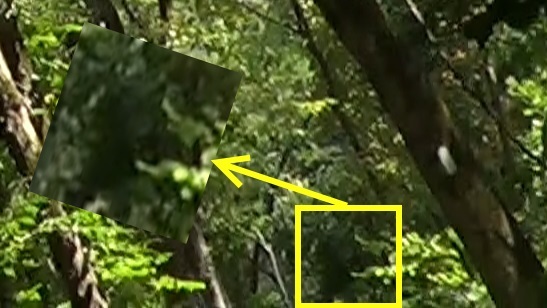 During a hike near Tellico Lake in East Tennessee I capture a few frames of what could be a "Dogman". I was using a back trail camera. Below is a picture of my back trail setup. 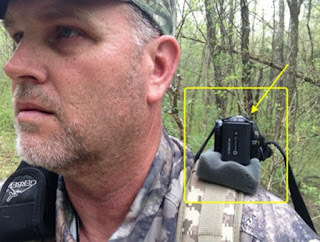 I have a Sony HD camera strapped to my shoulder filming behind me. 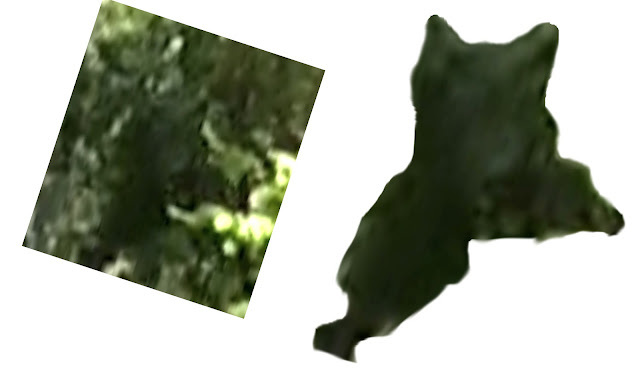 Below are still captures of the possible Dogman. 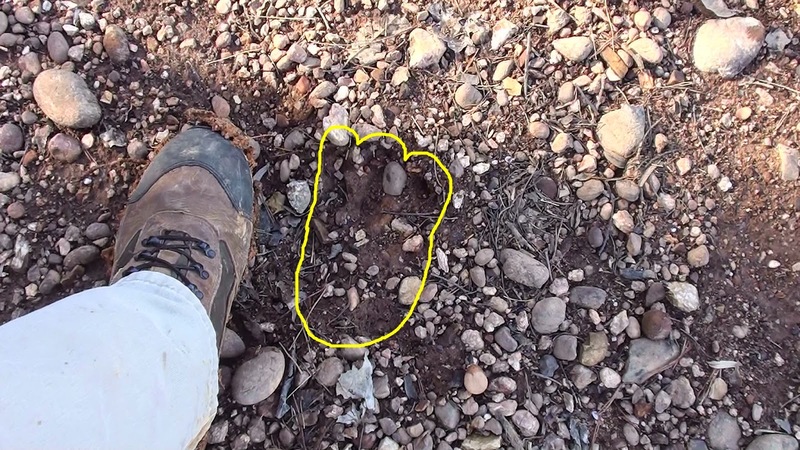 On March 28th, 2015 I found a three toed foot print on the lake shore of my research area. 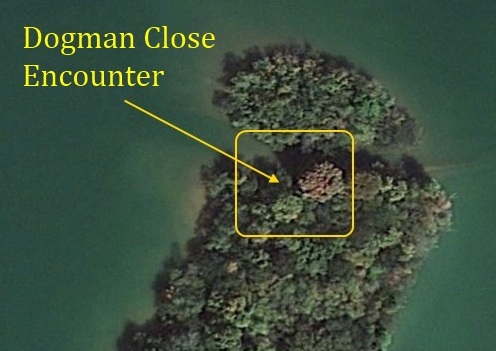 I have been tracking a three toed dogman for about two years now in this area. Though I am not 100% sure, I think this is its print. The creature is very intelligent. It walked along the shore in the gravel thick sediment. It did not walk in the clean areas. I found approximately four foot falls, but this was the clearest print. Print close up, the print was approximately 5 inches wide and 7 inches long. Below is the print found in February of 2014 300 yards from the location of the above prints. The dimensions of the prints are the same. Has the creature we know as the “Dog Man” existed throughout history? I read a sort article on this subject and it inspired me to do a little digging. It does not take long before Google searches began yielding a great deal of both information and paintings/drawings. phali. Cynocephali is from the creek meaning “dog-head”. 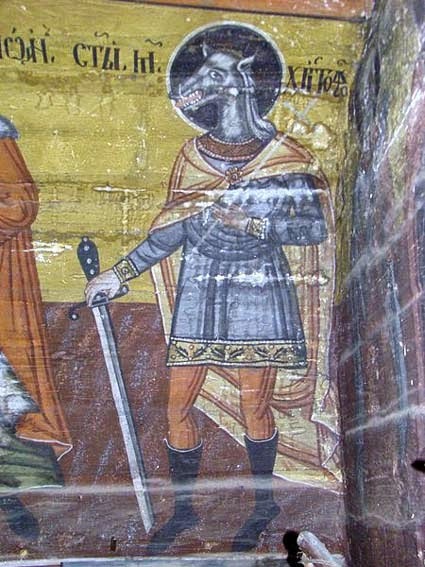 Cultures from Egypt, Africa, India, China, Europe and England have legends of the men with dog heads. Complete dog man civilizations may have existed in the distance past. The “Marmaritae” tribe reported lived in Cyrenaica which is located in North Africa. In North America the Native Americans have the legend of the “Skin Walkers”. 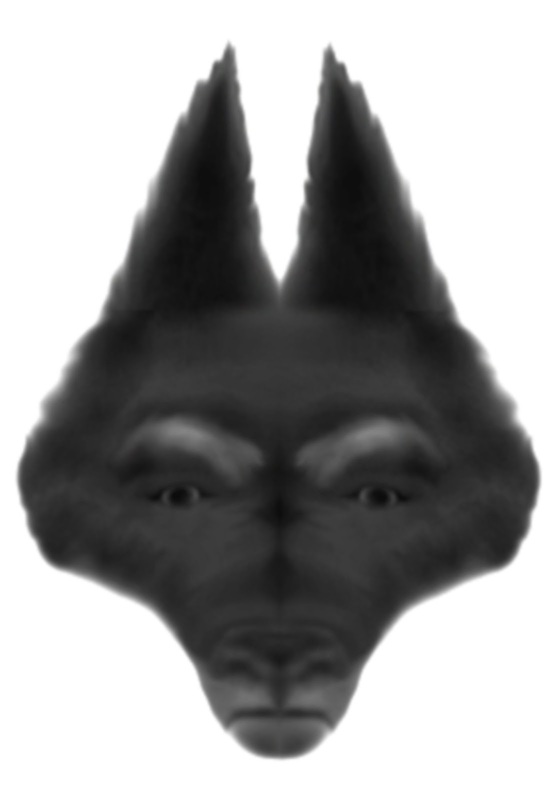 These are individuals that had the ability to shape shift and they often took the form of a wolf that was bi-pedal. Also in the Louisiana swamps you have the legend of the Loup Garou aka rougaro. The dog man I have inadvertently captured on video and are reported in many eye witness account bare an eerie resemblance to these “dog-headed” men. Are these modern day dog men the descendants of these ancient Cynocephali? Below is just a collage of just some of the drawings of paintings from antiquity.